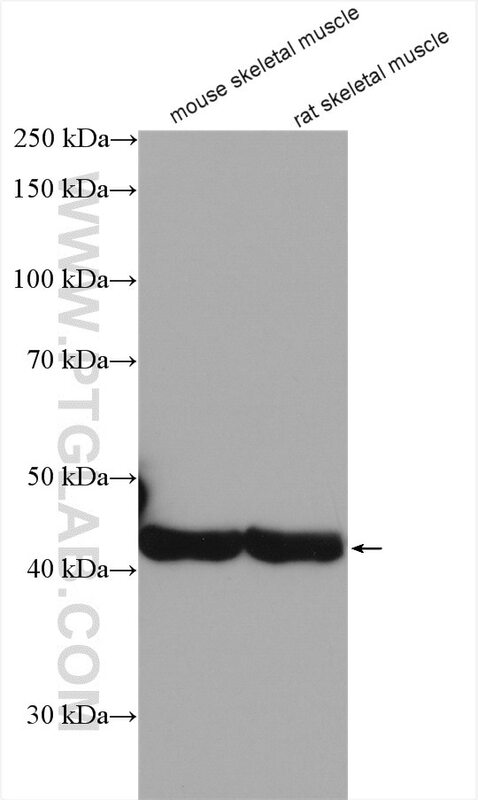 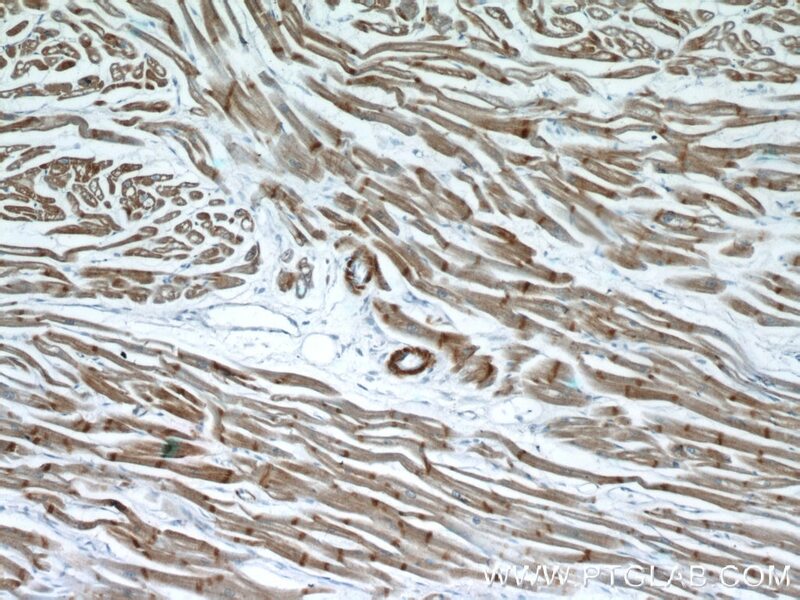 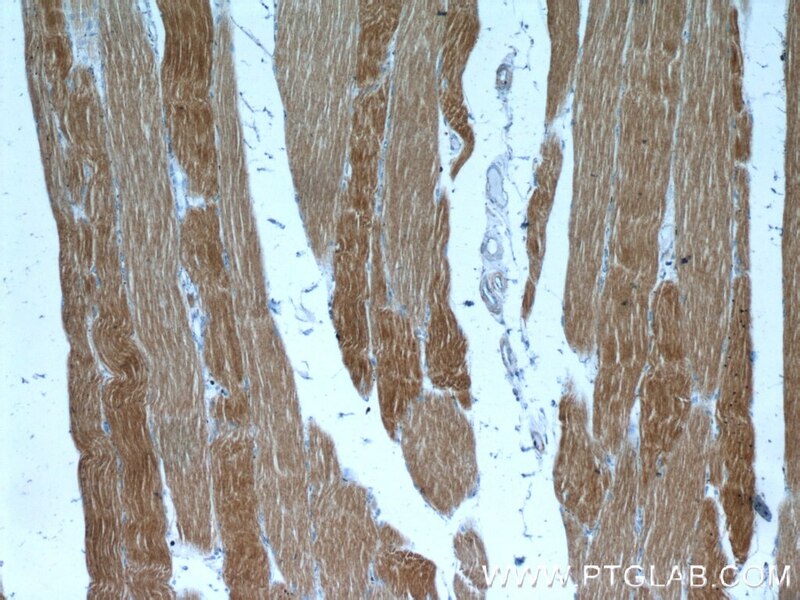 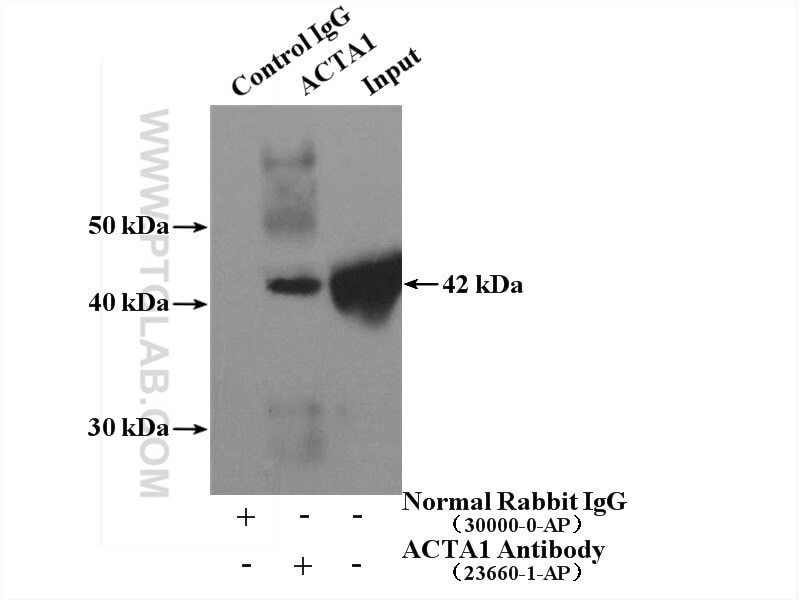 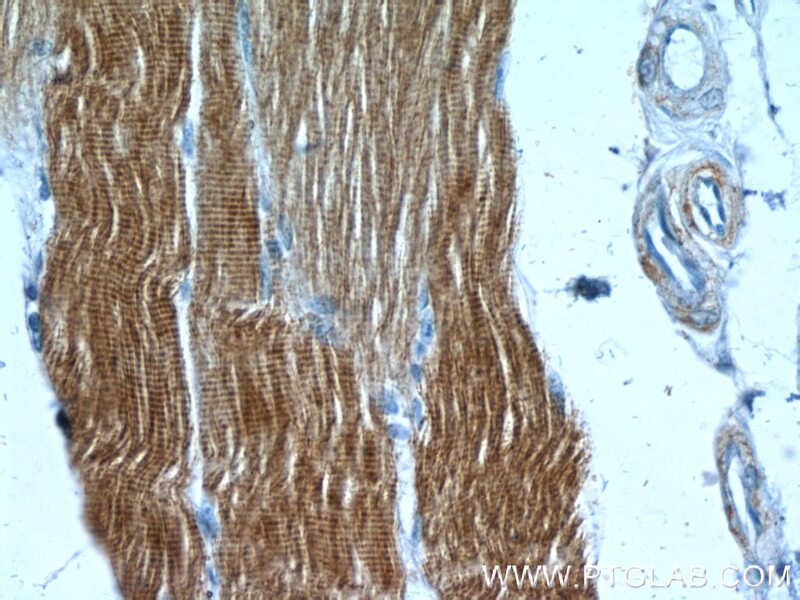 IP Result of anti-alpha Actin (IP:23660-1-AP, 4ug; Detection:23660-1-AP 1:4000) with mouse skeletal muscle tissue lysate 2200ug. 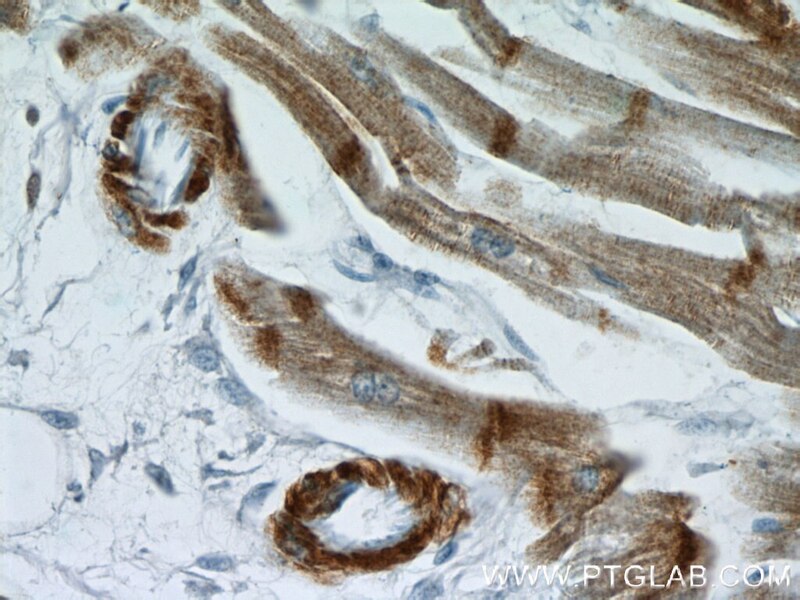 Actin-induced dimerization of palladin promotes actin-bundling. 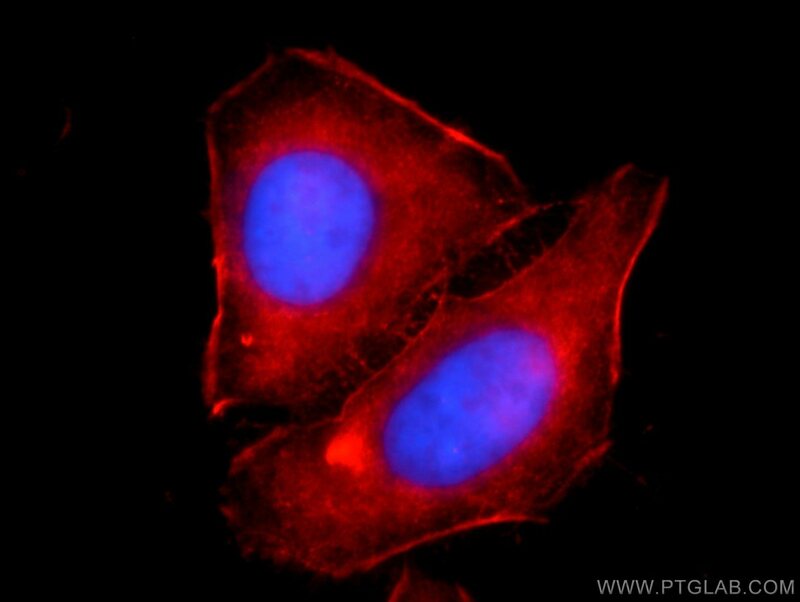 DEAD-box RNA helicase DDX3X inhibits DENV replication via regulating type one interferon pathway. 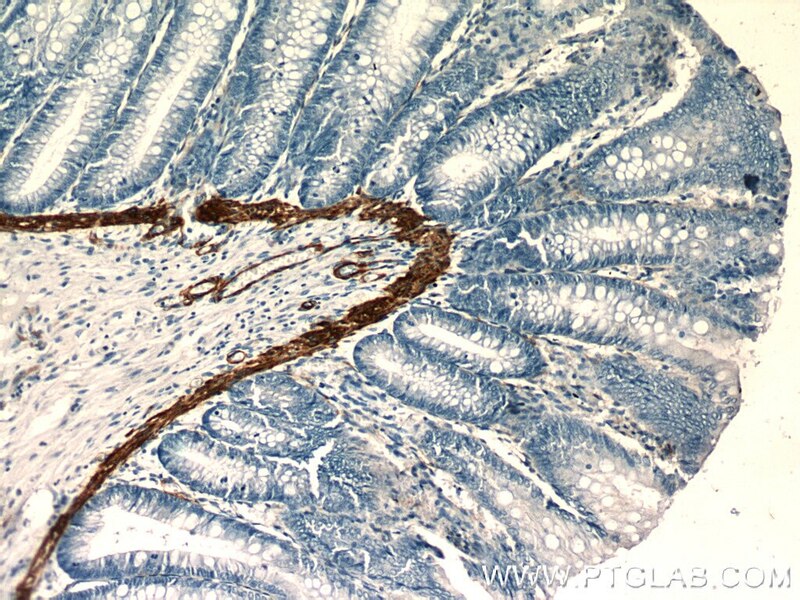 Vinexin β interacts with Hepatitis C Virus NS5A modulating its hyperphosphorylation to regulate viral propagation. 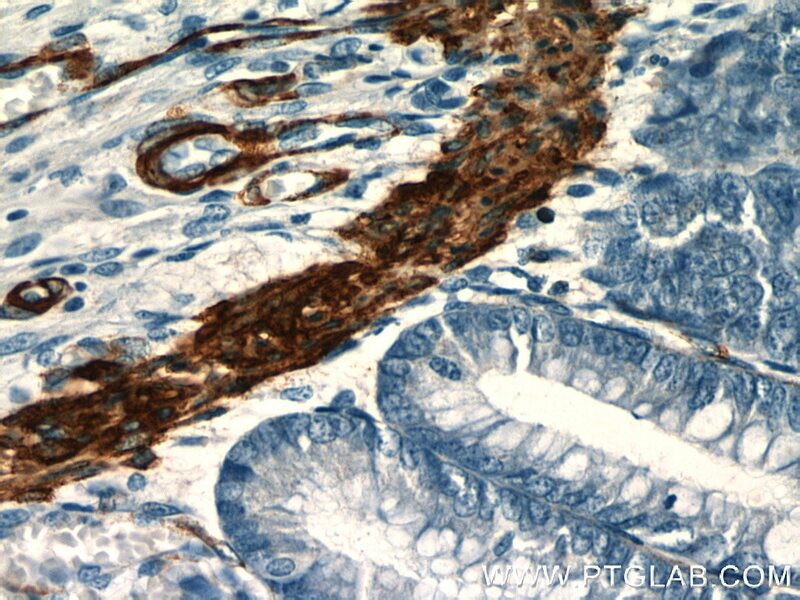 Overexpression of TRIB3 promotes angiogenesis in human gastric cancer.